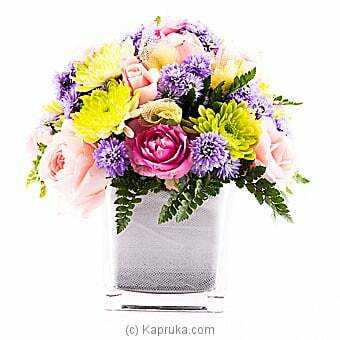 Send a sunny splash of color and brighten their day with this vibrant vas of 20 Pink Roses, chrysanthemum and Blue micheal. Mango Tree Gift Voucher Rs. ..